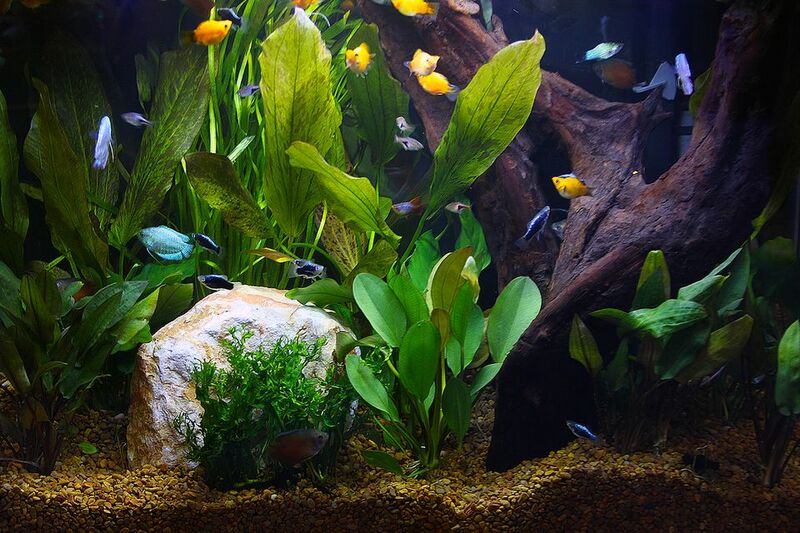 Before buying a new aquarium consider the needs of the fish that will live it, the care the aquarium will require, and the location where it will be kept. Aquariums should be purchased locally, as shipping and insurance costs negate the benefits of mail orders. That doesn't mean you have to accept the sticker price. Most shop owners will entertain reasonable offers from serious customers. Acrylic aquariums are very lightweight with smooth corners that do not chip. Acrylic also offers a less distorted view than glass. On the downside, acrylic requires a stand with support beneath the entire length of the bottom, and it is easily scratched. Glass is easy to clean because it does not scratch readily, and requires support only along the outside edges of the tank. On the downside, glass is heavier and the edges can chip. Not only the size, but the shape of the tank also affects the number of fish it will support. Most of the oxygen enters the water through the surface, so larger surface areas result in more oxygen entering the water. Avoid tall thin tanks, and opt for longer ones. The extra length will also give the fish more room to swim than in a tall aquarium. Many aquariums are now packaged with filters, lights, and heaters. Combo systems like the Eclipse are excellent and are well worth the money. Package deals that simply combine separate products are a mixed bag. Sometimes items that are not needed, or are of inferior quality, are included. On the other hand, some are a good bargain. Before choosing one, decide what you need and price the items separately. Aquariums are heavy once they are filled with water. Before you purchase one, make sure you know where you will place it. A filled 20-gallon glass tank will weight about 225 pounds. Generally, aquariums 15 gallons and under can be placed on desks or other sturdy furniture you already have around the house. It is wise to consider purchasing a stand for aquariums 20 gallons or larger. Stands are available in a variety of colors and materials, from wood to metal.